Do you work for SpyFu? SpyFu is a competitive intelligence tool for search marketers. You can type in a domain to see all of the keywords it ranks for (including the content that ranks), the ads it buys on Google, and an estimation of how they compare to their competitors in the marketplace. You can also type in a keyword to find the domains that buy it, the domains that rank for it, and how that has changed over time. With deep insights into both SEO and PPC, SpyFu is a solid tool for people who are starting a campaign and those who are improving what is already in motion. Learning about SpyFu? We can help. "Great for PPC & SEO Insights"
"My go-to tool for my work with small business clients"
SpyFu helps level the playing field for my small business clients. We are able to spend the marketing budget wisely by quickly knowing what ads are working and not working in the industry. It's like having an ad specialist on the team. I also use it for optimizing client websites for SEO, optimizing blog posts and other content marketing pieces, and various SEO projects. I can't find this as an option but maybe it's me. I would like a reporting feature to pull all the ads for a competitor over a set period, such as quarterly or annually. Take advantage of the videos they send to you periodically. They target specific issues and are always helpful. SpyFu takes the worry out of PPC marketing. I buy more confidently and know that I'm helping my clients in the best way possible. I also use it extensively in my SEO research work for clients and am able to help them with website content construction, marketing collateral copywriting, and digital marketing. "A great tool for fast keyword research and competitive analysis"
I find SpyFu pretty easy to use and is a great way to uncover basic information about prospective clients and competitors. I frequently use it to determine keywords and bids and to help come up with new ads and marketing approaches. SpyFu also helps me figure out who else is bidding on my primary keywords and what words we should focus our SEO efforts on. I don't know how accurate the information is, but I do feel like it's directional. For example, if SpyFu says a company bills $10,000, I doubt that that's correct because spend and bid data don't correspond 100% with what my clients are actually spending. If it says a company spends 10x as much as another, then it's probably true that one company has a massively larger budget than the other. SpyFu lets you see what ads your competitors are running, what keywords they're buying, and what they're spending. Very easy to learn from their campaigns and apply it to yours. SpyFu is really helpful in evaluating prospective clients and in analyzing their competitors. Almost every time I meet with an AdWords advertiser, I bring in a SpyFu report along with their primary competitors' reports. It's eye-opening for them to see at a top level what's going on in their industry, who is buying what keywords, how often they're testing their ads, what budgets look like, etc. It saves me time. What used to have to be done with a bunch of time in the Google Ads keyword explorer I can do much faster now. I do PPC, but I feel like this is much more useful for SEO. Yes they go hand in hand, and maybe I haven’t used all of the available tools in SpyFu, but the focus on SEO is my experience so far. Often I work with clients where the keyword universe is really small and I have to manually add a ton of keywords. I really wish that the process of requesting keywords was faster or more automated. I'd like to be able to add a website (my own included) and have SpyFu automatically find keywords and add them to the keyword list. Keyword analysis and ad copy creation. I really like checking my competitors Google Ad copy history. I look to see what they have been doing for a long time, so I can see what is working for them and figure out how to beat it. "Best Tool for Competitor Keyword Research for Google Ads and SEO"
SpyFu is the best tool for competitor Keyword Research for Google Ads PPC and SEO. We can use this tool to spy the keywords of our competitor to rank our website in SERP. We just need to enter our competitor's website to get all keywords information with just a single click. This tool is helpful in increasing the traffic of our websites. I am using SpyFu to track the competitors keywords and Google Ads. Its working fine for me without any problem. SpyFu is the best Tool for SEO and PPC, If you are going to do SEO or PPC then without any tool it will be time consuming for you. So I recommend this tool to you. We are using SpyFu for SEO and PPC on Google Ads and Bing Ads. We got positive results after using this tool. "Best Tool For Digital Marketing "
I like that SpyFu gives you soo much information and everything is then broken down even more. You get to see the big picture and all the details in between. The only thing which is a minor is that some unique niche keywords are not available....but SpyFu takes care of that by having you add them.. which eliminates the problem. This is a really good investment to focus and polish your digital marketing. SpyFu can help you with finding out the organic keywords that you should be using. It can also help you with the PPC keywords you should be using, along to the ones that your competition is using. They even have a way to help you set up your Google Adwords ads. This a a truly amazing software to have if you want to take your digital marketing efforts to the next level. We have found truly reliable keywords for our niche and have had great success. Most of the time we used Google to find our keywords but didn't get much results. SpyFu just took our digital marketing to another level. "SpyFu gets the job done"
One of the best things about SpyFu is it gives you all the information that you need on any website you look at. It is easy to use and provides concise correct information the first time. Whether you are looking at good keywords that your industry use or you just want to have a look at how much traffic you are getting it can do all sorts of different things. There's not much that I dislike about SpyFu other than you can't search for specific pages for example if you want to look at one page, in particular, you can't do this you can only really look at the main page of whichever website you are trying to look at. this can be a problem if you want specific information about one page in particular. It helps me to look at other companies websites in my field and helps me to ensure my webpage is performing to its max. "Spyfu is very easy to use and it is full of very inciteful information." Wow, I guess my favorite feature is Kombat. It's the first thing I do when I start a new campaign. I like to see how we measure up to a competitor, where they're putting a lot of their money, what common and unique keywords they have. Checking out a competitors backlinks is great too, keeps my SEO busy and our company relevant LOL! Spyfu reports are great too. Hand them off to the bosses, they understand and they're happy. I wish there was more local research. The company I work for has 72 stores across the country. I need a lot of keyword information on cities and regions, Spyfu seems to fall short with this. Only really big cities seem to be covered. I do really like that I can request keywords. This helps me with local research for our local campaigns, but it takes a while and when I get the results there isn't as much insight as with others. For example, I had added "car window repair hot springs". What I was really interested were related keywords for that area, maybe "windshield repair hot springs ar" is a better keyword to target, but I didn't get that only got the same list of global keywords. So again, if you guys could do something amazing for local PPC Research that would be awesome! If you need to know what your competition is up to, or you want to know where to start in your industry, Spyfu is a great tool to have in your arsenal. It identifies trends, pulls up competitors you might not have known about and shows you who is up and coming too. Spyfu helps you stay a step ahead of your competition, never behind. PPC campaign problems, like budget. I am able to calculate budgets for each campaign a lot better with Spyfu. Also, which keywords are worth bidding on and new keyword suggestions are so helpful. It has helped grow a lot of our PPC campaigns. They convert a lot better now that we are using keywords that are targeting the right customers. "Very useful, lots of info to optimize AdWords"
Get an idea of what you want from the tool or you will spend hours looking at different types of data without proceeding with your task. We are building a new product and wanted to be able to compete with competitors (incumbents) on the advertisement front. SpyFu is perfect for that. I managed to find out what paid keywords bring the largest number of visitors to my competitors. I was also able to evaluate how much they spend on those keywords and figured out which ones I should pay for to get max value with a limited budget. "Cool tool, I use it - but... "
For competitive analysis as a branding and marketing leader, it's a great tool to see how competition is spending, their keywords, the tools they are using (when applicable), their traffic stats, etc. I think SpyFu is on the right path and when their technology advances, we'll all be the smarter for it. The print to a pdf reporting tool is not very good - actually, the reporting tool, in general, could use an upgrade for better UX. I've also found discrepancies in data within the same report - I realize this is the code, or algorithmic, but I think it could vastly be improved. For visual presentations, screenshotting or building your own presentations vs. using their reporting is best. Their reports in a PDF for example, will at times completely cut off in the wrong spot, so you are losing half of your report off page somewhere. I have used this tool for multiple clients to give them the reality of their online competition, vs. their perceived competition. Also, showing what kind of digital spending is taking place is helpful when arguing for a larger spend on behalf of the client. "Great, simple tool to use"
It's very simple and intuitive to use, yet surprisingly deep, detailed and accurate when compared with sample data. Reporting automation is a great addon - quite intuitive and can be shared with less savvy individuals with minimal effort to explain various elements. There is limited data for certain industries, and for some (e.g. niche sport or life sciences) it took a bit of time to submit keywords and start aggregating data for them. I love the reports, but there is some limitation in how the data is served and aggregated. A bit more flexibility in the future would be awesome. It's a great balance between price, ease of use and features that make a great package for anyone counting on quality information to use in their competitive research and positioning. In my work, understanding the competitor landscape is extremely important. SpyFu allowed me to have an easy insight into their SEO, highest ranking keywords and even ad spent, giving a realistic overview of all competitors in one simple dashboard. Plus the reports are awesome and easy to share with clients with little input. SpyFu makes it very easy to compare our own website with competitors, seeing which keywords we're missing, and where we can improve. Over the month of using SpyFu, we've seen SERP ranking increase by an average of 2 places for each landing page. There is a lot of information to be drawn from the interface, which can be overwhelming to begin with. A tutorial walkthrough would be useful for beginners when first logging in. Make use of the free trial version, as this gives you the chance to test the software with limited results. The paid version is excellent value, as you get access to all information available in a user-friendly setup. We've consolidated our other SEO tools into one subscription with SpyFu, which leaves us more budget to spend on AdWords, improving our overall web marketing. "I tried four different SEO services, this is the only one I stuck with"
The user experience is clean and intuitive - I'm not an SEO expert (yet) but I was able to learn a lot based on just their information architecture. Being able to view competitor's actual Google Ads is extremely useful. The tutorials are great and I even took them up on a live tutorial session with someone on the customer service team, which was beneficial. I have a client in Asia and would like to be able to access a data set outside of the US/UK, which is the only data set currently available. Do the free trial to see if it's right for you. A few days after signing up you should get an email offering you a free tutorial session with one of the customer service people - take them up on it. I found it very useful to help me get started. Analyzing competitors SEO and PPC campaigns, identifying what keywords to focus on. There are limited results for my specific industry and area, sometimes the keywords and other insights don't seem to be as valuable to my business personally as others are. The information provided is vital to making educated business decisions. I would recommend running reports often and using that information to inform the way that you are allocating your spend for PPC and the way that you are designing your approach to SEO. Also I highly recommend the competitive analysis. Keeping up to date with the market that you are doing business in is very important and SPYFU makes it easy to keep track of what your competition is doing. I have not used the Social Media features of the site, but I am excited to get into those and see what they are all about. We want to be making smart purchasing decisions in ppc, and work towards beneficial seo keywords. Also the competition reports are very important in our very competitive market. They show us what areas we are competitively priced and what areas we can add or cut back on. We use that feature probably most often, and it is the most impressive part to show the members of our team outside of the marketing department. This is absolutely essential software for Border West, my digital marketing company. Not only does it provide invaluable information for creating PPC accounts, we utilize this information to sell to potential clients. They are amazed by the amount of knowledge we have, not only on their website, but on their competitors. It makes my job infinitely easier. Some keywords and websites don't register with their PPC spend, but SpyFu is trying to constantly update this issue. The Leads tab on the list builder is impossible to search with. I feel like the search options could be much more efficient. If you're in the SEO or PPC industry, it is essential. Between SpyFu and SEM Rush, I think SpyFu is better, and less expensive. Even if you are working on your own SEO or PPC campaign as a novice, SpyFu can save you from making costly mistakes. Keyword research, comparing PPC accounts for different companies. I've realized that many PPC management companies are either incompetent, lazy, or outright dishonest, which makes my job that much easier. "Great SEO Tool - Especially for Competitor Analysis"
I love SpyFU, I'm able to compare keywords that my company ranks for - and continuously compare to our top competitors. I like that it shows us automatically competitors that we may not know were competitors. It even breaks it down to what keywords you're both overlapping, and which keywords are unique to each site. I can see the monetary value and the amount of traffic that is generated for those specific keywords, so I know whether they are worth going after or not. The exporting feature could definitely be improved. I can't export any of the graphs, just the data. The comparison tool also only shows a few competitors in the graph at once, I wish that I could make the viewing window larger. I also wish it explained more what some terms meant, like "ranking difficulty" - I don't know what the scale is, so I can't really evaluate the number they provide. It's a pretty good price compared to other software. There's a little bit of a learning curve, but that's how it is with any software using large amounts of data. I'm able to see what keywords we are not ranking for, and the traffic that we are losing as a result, so thus I can focus our SEO strategy for those specific keywords. We also can see when we drop off the first page for a particular keyword, so that's helpful. Thanks for taking the time to share a review, Ariel! You've included some very helpful feedback. I'll take these points back to our design team to see if we can rethink ways to make your suggestions work. "Very easy to use and shot learning curve"
I do enjoy the competitor analysis and keyword research on SpyFu. It's been a great tool to bring into meetings and present to clients to give them an idea of what they should be ranking for and what a realistic ad spend would be. Do your research and really determine if this is the best product for you. If you're new to SEO or extremely experienced, I would suggest exploring all options. SpyFu is very good from a keyword building and analysis standpoint. It's extremely effective, but has some hiccups. I am using SpyFu to monitor what keywords my clients should be using and tracking ranking progress from there. It's helped paint a clearer picture to my clients as to what they need to be focusing and spending money on. "My Go-To Online Resource for Competitive Data"
I utilize many resources in my SpyFu account, however, the tool that stands out the most for me would have to be Kombat. This allows me to get keyword data based on my competitors' efforts, which then allows me to expand upon my Paid Media and Organic strategy. This is a tremendous help and provides an edge that most competitors in various markets are not even aware of. This really is an online tool that offers a wide spectrum of resources. My only critique would be on organic keyword rank tracking. For marketing initiatives based on the objective of growth in organic search rankings, it is beneficial to see what page your listing falls on for specific keywords. Although SpyFu offers customized keyword lists, They are not segmented by the specific Search Engine (Google, Bing, Yahoo) that keyword ranking applies to, as far as I am aware. There are other tools that offer this online, but it would be nice to have this feature under the same umbrella of SpyFu tools. You will not be disappointed! SpyFu is close to being a one-stop shop for keyword research and tracking needs. You can save money by having an account with them as opposed to 3-4 tools on websites you have to pay for separately. I am using Spyfu to gain a competitive edge over my employers paid media competitors by gaining and applying keyword ideas that make sense for our initiatives. I am also able to build negative keyword lists more effectively in our Google AdWords account based on known search queries for our domain. Thanks for your kind words, Robert! Kombat is definitely a customer favorite -- glad to hear that it tops your list, too! I hope I can help answer your question about other search engines. Inside of the MySpyFu project manager (the slider on the right), you can see weekly tracking updates for each of your saved keywords. Most of the rollups are based on Google rankings, but the individual rank details are separated in the graph and in columns for Google and Bing. "Spying has never been so easy"
Awesome tool for getting actionable data on what your competitors, or your client's competitors, are doing online. Having ppc data along with SEO data and keyword data in one app saves a ton of time doing research. The app works, the data is solid (as solid as estimated ppc ad spend can be) and the value of the app is outstanding. Very easy to monetize the monthly spend for this app. Nothing to mention here. All good. As others have mentioned, the data is one thing. It's how you evaluate / interpret the data, and what actions you then take, that really matter the most. Ability to use one tool that replaces several I was previously using saves time and money. PPC spend data is not easily available in other apps similar to SpyFu, and certainly not at the same cost. We use this tool to help make decisions on where we spend our marketing dollars and to show our clients where their competitors are spending their ppc dollars so we can craft a plan based on what others are doing. Thank you for sharing your thumbs up for SpyFu, Lee! It's great to see someone getting such great use out of the tool for their SEO and their PPC efforts. Keep it going! "Great for providing insight to competitors and brand targets"
My favorite part of SpyFu is the ability to find out who is bidding on what keywords and what type of budgets that they have for paid campaigns. We use this information in targeting specific companies in specific industries with solutions to real problems that they have. For instance, when looking at who is bidding on the keyword "truck driver jobs" we can pull a list together of different truck lines who need to hire new truck drivers. We have a specific solution for those companies, and by knowing that they are already spending money in that realm we can talk to them more intelligently than if we were just cold calling. The only real thing I don't care for with SpyFu is their lead generation tool. It seems the filtering of businesses does not work as well as I would like...I would like to see a way that they can provide leads that have very specific criteria, like where a companies HQ is located. The product is very well priced and really a bargain for all the things you get with a subscription. Targeting industries is the biggest problem we solve. I also use the tool for PPC research (which is really what you think about when thinking of SpyFu). I've been able to provide clients with better PPC campaigns simply by knowing what their big competitors are doing, and not doing. "SpyFu is Awesome for Competitive Analysis!" I generate leads for the biotechnology and life science market. My main tools are calling/contacting targets I find on social media and using the net to bring in leads (with landing pages, webinars, etc.). When I'm pitching a potential client, I show them what their competitors are doing online and how they are missing the market by using SpyFu's amazing competitive analysis. It is a compelling way to show prospects how they are missing so much of their market. Another feature I will be using more of is their keyword analysis; it will give me more ammunition to build landing pages around keywords that make sense. I will be using their keyword and competitive review with their SEO reports to create the best service for lead generation for my clients. I only use SpyFu a few times a month so I wish it was less expensive for low-volume users. This is a very unique platform. They are always innovating and adding new features, and are quite responsive to their user base. Try them out! I needed a way to show my prospective clients that they were not reaching most of their market, and the best way to do that is by comparing them to their direct competitors. That tells the story! SpyFu brings only rough data and does not bring you with actionable actions or some directions. If you are ranking on wrong search terms it is up to you t discover it. You need to deeper analyze the results. So, Spyfu "seems" to deliver information that you have to really scrutinize. If you have questions their Chat system is useless. It is almost an automated system. Based on your question they send links that direct you to their FAQ pages. Unfortunately the expertise behind Chat is NULL. It is difficult to get straight answers. If there is a need of basic data go with SpyFu. If there is a need to be serious with your SEO and PPC strategy, I do not recommend this tool. You do not solve any problem with SpyFu. You just collect data that allow you to compare your results to your competitors. There is no AI behind this services. It is just a way to collect data that can help you solve your problem after some deeper analysis. Unfortunately, if you do not have some marketing expertise there is great chance that you fail. Hi, Franck. Thank you for taking the time to share your experience. I'm sorry that you were left feeling underwhelmed with our tool and with our chat team. We went back to look at the chat transcripts to see where we might have fallen short. There are real people here at our office that answer those questions (we don't use bots or contracted work). If we can learn something from poor experiences, then that's helpful to us. It seems that you were not happy with the resources that Zac shared with you. I understand that some people prefer more direct, concise answers instead of longer articles to read. That makes sense, and we'll be more mindful of that. The amount and quality of the information, and the ease of finding it makes SpyFu and must-have tool for internet marketers. I would like the price to be $10 less per month. If you market online, SpyFu is a tool you should consider for your online marketing toolbox. However, be prepared for information overload! Forge ahead and learn what information is available to you and what it means you will gain valuable insight into what is working in your niche. Keyword strategy is always challenging. I love that I can really create a solid keyword strategy with the info found on SpyFu. Another benefit is being able to see what the "big guys" in the industry are doing with their online strategy. Not having to reinvent the wheel when launching a new product is truly awesome. "Swiss army knife for Search Marketing and Strategy"
Quickly identify your client's top search results, the competitors appearing in their top search results, and the imputed values of an organic search term let you show the client the traffic value in dollar terms, makes a powerful business case for client investment in search traffic, you can demonstrate their competitor's ROI, and calculate an ROI for their search marketing with confidence. Also I love the ability to add keywords when they are not currently being indexed by SpyFu, a great feature when your client is in a smaller industry or working with niche search terms. The speed, I wish it was faster and more responsive, the data is fantastic, but it can be a slog when you are trying to build a competitor comparison for a larger website with lots of competitors. I will say the speed has improved dramatically in the past year! Also the client recon industries are probably the biggest markets for search marketing, but I tend to fish in smaller ponds, so the tool is not tuned to help me prospect as much as I'd like. They are investing in the product, as a user for over 5 years, I can tell you it is a better product now than it was, and I expect that improvement to continue. They might not have every bell and whistle, but they provide exceptional value for the breadth of features: SEO, PPC, and backlinks, as well as some useful structured reports. We appreciate your excellent review, Jonah! Thank you for your long-time loyalty. It's exciting to hear from customers who have watched our features and tools evolve for the better. You picked up on the speed and responsive updates we've been making, too. Thanks for calling that out. "Helps a lot for AdWords Research and Set Up"
I like that Kombat allows me to easily compare competitors. The Keyword Grouper is helpful too. I also like that it's easy to export everything to sort through in Excel. The tutorials are a great resource and are a great way of learning how to use SpyFu. Data is only available for the US and UK. The reports function took some time to understand. I'm not sure about the SEO data as I use it mainly for PPC. It's fast and easy to work with. Best of all, the pricing is really great. The tutorials help you learn how to use the features. I can easily research keywords for my AdWords campaigns and then group them. SpyFu gives me all the information I need. I can quickly gather information about competitors and it also provides suggested keywords. Spy fu makes it very easy to identify precisely the required SEO steps needed on a case-by-case basis for each and every client, enabling an SEO professional to clearly communicate a well defined path forward for both the clients and staff in each project. It is too awesome to dislike anything really. I would like to have it for less $ of course, but it is priced extremely fairly and already the least expensive of anything remotely comparable. If you understand SEO and Digital Marketing and if you have searched for similar products in the past then you will barely be able to contain your excitement when you dig in to Spy Fu, and the paid version has many outstanding bonuses over what you can get with the free version. Having the competitor data is extremely beneficial. It has made it much easier for me to keep an eye on each market I serve and to deliver the most value to my client. Spy fu has helped me make my business operations much more manageable. Alicia, this has made my day! I love reading this in your words. Thanks so much for the fantastic review! "SpyFu - Super easy and insightful "
First, the ease of use. You can get a lot of insights on your competitors as well as your own site. You can find out which keywords your competitors are ranking for, new keyword opportunities also you can find backlinks that will help you rank for specific keywords... to name a few benefits! Sometimes I don't feel that the est. amount for PPC ads that competitors are spending is that accurate - understanding that they are "estimates" they should at least be somewhat close. Also - I used SpyFu a few years back, then cancelled - it was at that time that I was offered this service at half the cost! So, it would have been nice if they offered some promotions to long time customers or even when on boarding! as of now, I pay less than I initially did. keyword research, SERP analysis and competitor insights. It's easy to set up projects on SpyFu for each of your clients (or your own company) where you can track keywords, avg. CPC etc... and the export feature for reports is great. Thank you for your kind words, Lee'Ann! You're right about the estimates being, well, estimates, but we're still looking for ways to tighten these numbers. It's something that we're focused on delivering in the early part of this year. Thank you for your long time loyalty too! We're happy to have you on board. "Excellent keyword and pay per click research software!" We run a ton of PPC campaigns for local business clients and Spyfu makes it so easy to find the bulk of the best keywords very easily. This goes the same for doing SEO research for articles and content. 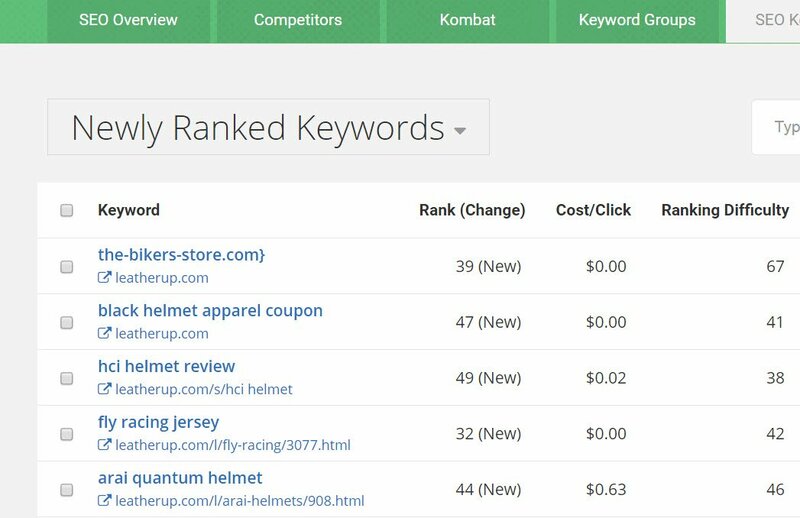 The Spyfu kombat mode allows you to compare your business' PPC keywords to that of top competitors. Good way to see if you are missing any lucrative keywords. I had a little difficulty first figuring out how to use Spyfu, but the online training videos they have got me on the right track. Once you understand how to use Spyfu, it is very easy to find the keywords you are looking for SEO articles or Pay Per Click ads. The price is very reasonable as well. We mostly use Spyfu for Google ads keyword research these days. It makes it very easy for us to get the initial campaign researched and then just copy/paste over to Google adowrds interface. Mark, thank you for taking the time to write a review of SpyFu! I'm glad to see Kombat getting a mention. It's certainly a customer favorite. Also, thank you for mentioning the online support and tutorials. We've been working hard to beef up the learning center and our live chat team as well. Cheers! "The best of the best in comptetition analysis"
The fact that I get to see my competitors trials and errors and their best succeeding ads in Ad History is definitely my favorite part of SpyFu. It's literally months of work that are saved and many thousands of dollars as well. Being from Canada and working in a B2B environment solely within our borders, I would have appreciated having local information for some of the tools within Spyfu. Some other companies like SERP Stat offer that possibility. Definitely, I encourage to get started with the trial, but there's so much more to discover as the learning curve progresses. I strongly recommend SpyFu to any organization that wants to cut to the chase while saving tons of money and time with a very action-oriented competition and market Ninja arsenal. Entering the PPC and SEO arena where big players are already well established. We know that we need to do things smarter and learn from our competitors' mistakes. Carlos, thank you for your kind words and enthusiasm about SpyFu! Seeing that you've saved months of work and SO MUCH MONEY makes us thrilled. Congratulations, and here's to your ongoing success! "Excellent Keyword and Competition Discovery"
I love that I can see present the competition to my clients that they wouldn't imagine are clients based on their keyword lists. I wish the pdf's came out a bit more clear and maybe even an option to include summary for presentation. I always highlight all of the data included and the ability to request for new urls to be included for tracking. I like that anyone on the team could use it because it is so easy to manage. It is a huge timesaver. The ability to send reports via email or export including .csv that can be manipulated and inluded in other documents. I can capture complete campaign competition without have to go to multiple different tools. "A Plethora of Useful Features in an Industry Full of Noise"
I like how so many great tools can be found in one place. I like looking at the SEO of a site then moving right over to the PPC aspect of it and what my competitors are doing about my choice keywords. Very easy and powerful. Not much. I was made aware of the training of tools but I would like a full library of best practices for desired outcomes. Like if I want to find better keywords for my website. What are the best practices that can be done to exhaust all the features of Spyfu. I know many of these are mentioned in video format but it would be nice to have Goal Oriented Best Practices. Definitely Try it. It's the umbrella software of digital marketing. SEO and getting copy from competitors easily to see what is working and to get a jumpstart into the PPC game right away. "Definitely a benefit for our company." I utilize the Kombat feature the most. I look at the keywords that our competitors are using, what is working for them and then implement those words into our website. The number of users on our site almost doubled in the few months after we started using Kombat. Nothing with spyfu so far. Was excited about Nacho Analyitics and signed up the first day, then it crashed and I didn't like the fix. Too much time involved to set up my account so cancelled. Definitely a great tool for SEO. I utilize Kombat once a month and analyze which keywords our competitors are using and add those to our site. Have seen an increase in traffic since we started this last May. I look at certain keywords to see how they are performing for the competition and used that information when creating our Google Ads campaigns. Have looked at backlinks but definitely need to spend more time with this. Definite possibilities here but no time to dig into it. "I have been using Spyfu scene it was in Beta "
I think it is very innovative. It is very inciteful when it comes to competitive analysis. It allows you to save your company thousands of dollars by allowing you to stand on the shoulders of your competitors and have a good Idea of what to target instead of spending tons of money testing. Database not having the keyword or website data. Data accuracy needs improvement. If you approach the data knowing this, it still provides useful information to point you in the right direction. I feel the need more awareness of there tools and how to use them there is a lot of tools I have not used and would like to understand what is available and how to use them. I would highly recommend this toll it is worth the money and I have bearly scratch the surface on its capabilities. approach From both a paid Advertising and SEO standpoint it is amazing utilizing Keyword combat to see the targeting commonalities and being able to find new keywords phrases you did not thank of before. using this tool has allowed my clients to benefit in many ways. 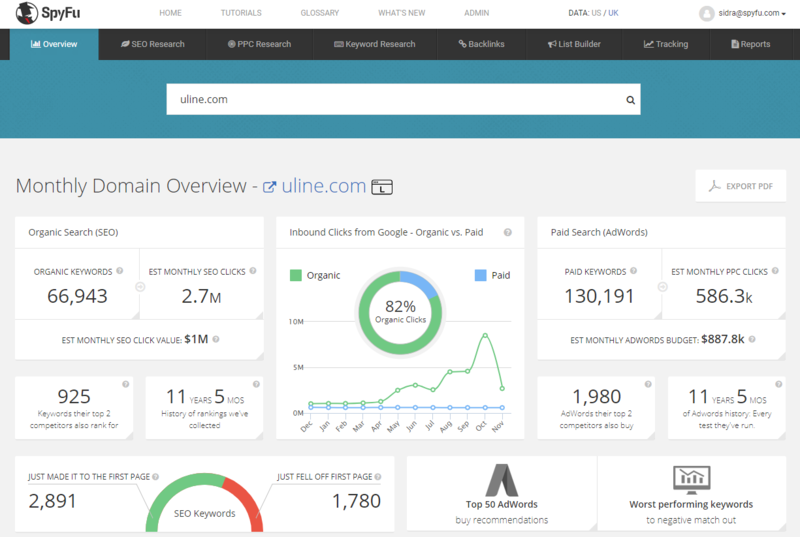 "Solid PPC and SEO research tool"
I love that Spyfu has all kinds of reports I can export and show clients and prospects. The dashboard is easy to use and I love how I can see a domains PPC and SEO history in one tool. Sometimes the SEO side of Spyfu does not grab relevant keywords so you may have to do your own research and input your own keywords to track. Try it out, compared to other tools it is really easy to use and show clients what is going on with their competition. 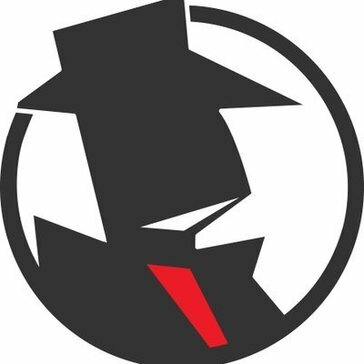 We use Spyfu mostly to check out competition and see what is working for them. "The Go-To for Keyword Research"
This tool digs deep into what keywords a site ranks for, how their competitors fare, and what the opportunities are across organic and paid. The not-so-secret weapon is the Kombat feature where you can compare up to 3 domains at a time. The nifty venn diagram shows you the cross-section of search queries across the domains. You can see where your nemesis shows up in search and you don't, and vice versa. The estimated ad spend is relative, and sometimes can be only a gross estimate at best. For example, it might show you that a competitor spends $100k/month on AdWords and says you spend $50k. However, you know that your business actually spends $75k, so then you can estimate that the competitor is actually spending $150k. It's great for companies that need to understand their place in the competitive landscape online. For SEO professionals, its myriad of tools that serve your every need related to keyword research and ad spend estimates. Especially if you're working in a digital marketing capacity within a team that has little experience in this research, its reporting features will make you look like a rockstar. It's also a secret weapon for content marketers. When you need to develop content strategy, it gives you an incredible view into what competitors rank for and what opportunities are available from a search perspective. I'm trying to understand what queries bring people to our website, what traffic we miss that goes to competitors, and what search queries aren't being sufficiently answered. These present opportunities for our business to tailor our content and provide more relevant information. Thanks so much for sharing your experience, Amanda! I'm excited to see how well you've worked the data into your research. Glad we made it into your toolkit! This tool is invaluable for digital marketers and ensures we are able to find out what the competition is up to in terms of keywords, both paid and organic. Invaluable for businesses of all sizes. The support is also excellent, I was offered a webinar after just one week of using the product and was able to ask any lingering questions I might have had. Ad spend is just an estimate I suppose but at least we can discover who does and doesn't use PPC. I know the UK PPC information could be improved. Overall, there is very little to dislike, it is a fantastic product and one that will massively help the digital marketing aspect of your business. Go for it - you won't regret it. What brings people to our site and what keywords we are not using/missing out on. This is invaluable to an SME like ourselves. The PPC and backlinks aspects will also help us against our competitors. 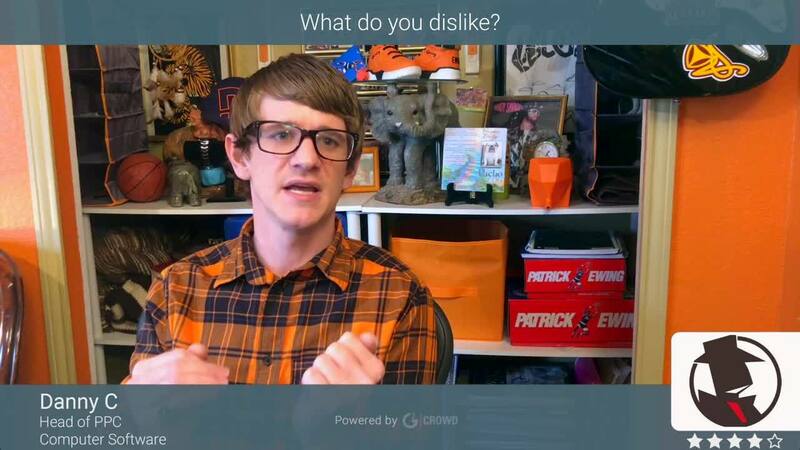 "One of the Best Keyword Research Tools I Have Ever Used." The easy to use and understand interface is beyond helpful. Right out of the gate I was able to analyze and interpret essential keywords and phrases used by specific competitors of ours. Not only did they target specific companies I chose but their competitors as well. I have yet to find a feature that I have not found useful yet. My only complaint would be pricing but it is no where near as high as some other sites out there. Correcting my company's Local SEO as well as planning a paid marketing.